Jan Bush joined our massage department over the winter holidays of 2014.She started by helping us out with Sunday massage shifts and quickly moved into a full time position. Jan is a very talented massage therapist with a lot of heart. A great fit for Urban Sanctuary. 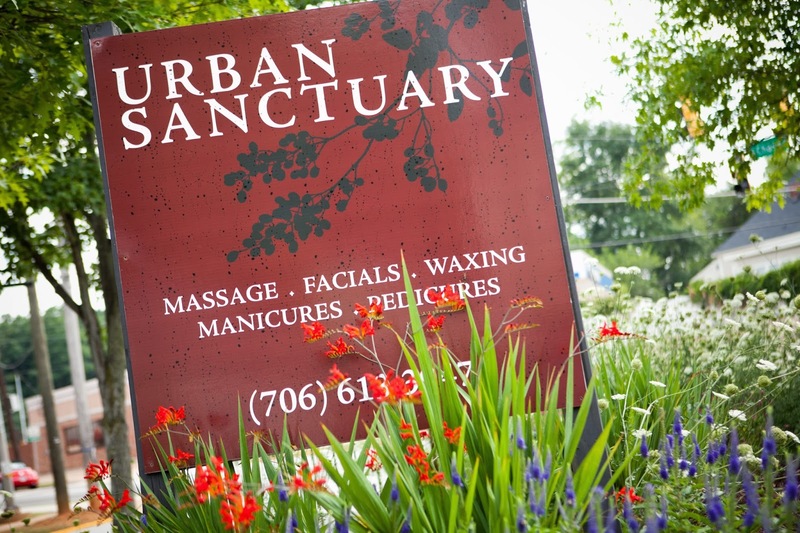 Jan, tell me what your favorite clients services are at Urban Sanctuary. What do you love to do the most? Back, neck and shoulder massage is one of my favorites also. So many people need extra attention in those three areas. I really like our signature massage and prenatal as well. There are many modalities that I like to incorporate into the massages that I give. How would you describe your massage style and your strengths as a massage therapist? My massage is responsive and intuitive. I choreograph a different massage during each session a repeat client has with me rather than defaulting to a routine. It’s an evolving and unfolding massage, where I incorporate different techniques and modalities to address what my clients are dealing with and their bodies. My priority is to have the massage accomplish something on the road to better health, stress relief and pain relief for my clients.I really like to create a treatment plan with clients that involves repeat massage sessions, stretching and home care in between massages to alleviate pain and stress. Have you done any specialized training, study or research related to well being, massage and healing modalities outside of your massage school training? Yes. I’ve done extensive self study on muscular skeletal tissues, common stress patterns, stretching and trigger point therapy. Some lymphatic drainage, foot massage and sinus relief massage training. 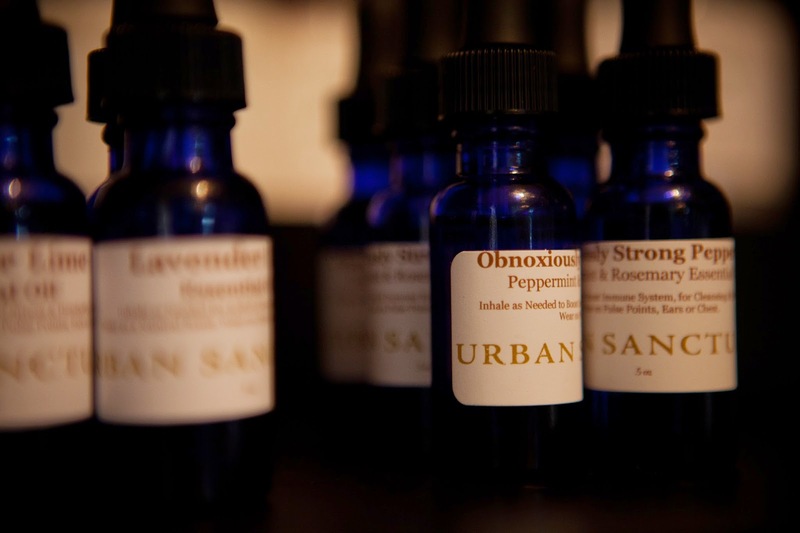 Are there particular communities or groups of people the community that you would especially like to impact through your massage work at Urban Sanctuary and our community outreach work? Yes! I have a special and deep affinity for the elderly population and I’d love to have the opportunity to work with people who have cancer. I was the primary caretaker for my parents for years. While I cared for them, my Step Dad had cancer and my Mom had Alzheimer’s. I have a tremendous amount of respect and appreciation for the elderly and for people with cancer. That is especially so after having an up close look at what my parents were dealing with. Tell us more about your family. I heard you say that you have four kids.That’s a lot of kids! What are their names and where are they? My youngest son, Malachi, is 19 and he is a freshman at UGA. That’s what drew me closer to Athens. My other three are Zach, Macy and Madison. They are spread across the country. I also have two grand-kids named Max and Jack. I absolutely love to spoil them. My dog’s name is Buddy. My mother was a master gardener when I was growing up and my Dad was an avid sports fan. Loved football especially. Yes. I am a dog person and I love horses. I rode horses and raised horses as a young girl. I developed a life affirming bond with horses. My Father died when I was very young. The connection I had with horses and the time I spent with them really got me through some of the pain of losing my Dad. More about Jan:Jan has inherited some of her mother’s love of gardening. She loves to grow herbs in pots, rosemary being a favorite.And as for her Dad’s influence, Jan is a sports trivia buff! Her father taught her tons about football and sports trivia when she was just tiny. Jan has enjoyed several interesting career paths prior to becoming a licensed massage therapist. Being motorcycle sales person for over ten years has been a highlight. She was the marketing director for Harley Davidson Atlanta. Wow . Jan is at Urban Sanctuary 4-5 days a week including Sundays and evening shifts. If you have not had a massage with her yet, mention this blog post and receive $5 off your first session. Call 706-613-3947 to book your appointment at Urban Sanctuary. Browse our menu of services, scalp massage, foot massage, specialty massage and prices.